Lifetime members have been active with the Yavapai Cowbelles for at least 7 years and are at least 70 years young. We love and respect these strong and accomplished women. Trudy Birkmeyer - My great grandfather, Louie Dugas, started ranching here in the l870's. My family & my brothers, Bert & Fred Teskey, are still ranching in this area. Here at the Dugas Ranch, we run a cow-calf operation, with Red Angus-Gelbvieh cattle that graze on the open range year round, with their calves being born in the Spring. We rotate the cattle through several pastures during the year to avoid over-use and in the Fall we round up the calves & sell them. Our goal is to continue to supply a healthy protein for the market. While riding up on the mesa, checking cattle & range condition, I enjoy keeping in touch on my cell phone with my family & friends. Helen Cleckner - Born in Wadsworth, OH on a rural farm, to a family of 9 siblings, number 7. Spent most of my younger years working on the farm & various jobs at the schools. I met my husband (Robert/Bob Cleckner) my senior year & married in 1943. We had 5 beautiful & productive children, which I am very proud of; 10 grand-children, 24 greats & 4 great-greats. We moved to Phoenix, AZ in 1951, Bob passed away in 1981. I moved to Yarnell in 1998, where I became very active in the community assisting & occasionally running the Community Center. After losing everything in the Yarnell fire, I moved to Prescott in 2015. I love quilting, canning, making jam, singing & spending time with my family. I have been a member of the Yavapai Cowbelles since, 2002. 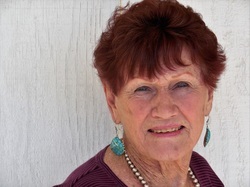 Patti Hughes - A native Arizona, born in Flagstaff, AZ in 1940. I became a ranchers wife in 1968. At that time my Mother-in-law (Stella Hughes), paid my Cowbelle dues. In 1970 I helped form the Gila County Cowbelles. We moved to Cottonwood, Cornville area in 1978. Thus I became a Yavapai Cowbelle later on. I was the AZ State Cowbelle President from 1984-1985. It was a wonderful experience, that I will never forget. We moved to Dewey, AZ in 1986. Cowbelles are my favorite organization. Carole Kenson - My real life began when I was eleven and we came to AZ from OH. I met the love of my life, Bill, at age 15, married at 19, and began the AZ journey. Bill & I started Kenson Construction 56 years ago in 1960 and also purchased Stanley Lumber in 1970, with our partner Mike Patterson. I was the bookkeeper, general office girl for both companies for probably 40 years. From the opportunities of these two companies we have purchased our Barney York Ranch, of which our son Mark is the partner. We have 3 adult children, Kim, Mark & Alan, 7 grandchildren and 5 great grandchildren. The Yavapai Cowbelles always brings me great pleasure with meetings and activities. I am ready for more adventures that life will bring me. 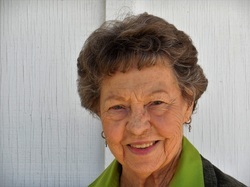 Jolene Miller - Born on January 18, 1939, part of the Miller’s that settled Prescott in the 1850’s and Miller Valley Road. Went to grade school in Hillside. My two girls & two boys, all raised FFA beef cattle, with five grand-children & three greats. In 1976 I joined the Cowbelles, where I currently hold the position as Treasurer since 2013 & was past President in 2008-09. In 1982-83, I was the Arizona State Cowbelles State President & was active in the Camelback CB. I was a founding/charter member of the ACIR & EF & worked on their many committees, including scholarship & was Executive Director. Mary Helen Ortleib - Born on a farm in northern New York, about 50 miles from the Canadian border. My husband who is also from the same little town, of less than 200 people. In 1959 we married & set out for the West, landing in Prescott. We have 3 daughters, 2 of them born in the old Prescott hospital. We now have 11 grandchildren & 6 greats. My husband ran Horner Mountain Ranch for 39 yrs, while we lived their for 25 yrs. Then we built & moved to our home East of Dewey. In the early 1980’s I joined Yavapai Cowbelles, my sponsor was Nel Cooper, who is an original member of Yavapai Cowbelles & is in the National Cowgirl Hall of Fame. In 1988 I served as YC President, 3 years in the 90’s as Secretary for the ASC & 2013-15 Yavapai Cowbelles Secretary. 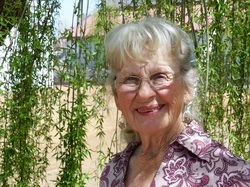 Margaret (Marge) Perkins - My mother-in-law, Evelyn Perkins, was a charter member of Yavapai Cowbells. I have been a member since 1954. My sister and I did the scholarship quilt for 25 years and I'm so glad that it is still helping graduates with their education. Our family has been in the cattle business since 1900. We are in our 6th generation. I feel the cattle people are some of the nicest and most generous people that I know. Our son-in-law, Danny Major, still manages Perkins Ranch, Inc. in Yavapai County with our daughter Lyn at his side. 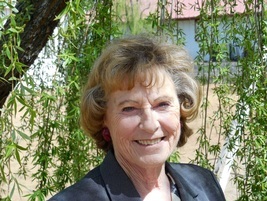 Jeri Robson - I was born in Phoenix to Bill and Georgia Kenson - the third generation born in AZ (there are now six generations). My brother Bill, was born 2 years later, who is married to Carole Kenson. We grew up and around in Prescott. Graduated from PHS and married my sweetheart, Don Conkiln. We had 4 children, Sherri, David, Doug and Deidre. I know have eleven grandchildren and eight great grandchildren. Shortly after Don passed away with cancer in the 70’s, Jolene, my cousin, encouraged me to join the Cowbelles. I’ve enjoyed serving as Treasurer, Vice-President and President over the years. I’ve belonged to a number of other organizations, enjoyed them all and continue to look forward to whatever the Lord brings into my life each day. Kathy Callahan, shares her picture with us. 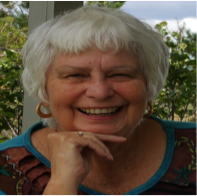 Trudy Chapman-Radley - As a child I dreamed of owning my own horse & spent the summers helping the neighbors with their goats & gardening, in Akron, Oh. In 1965, I married a Phx Law Enforcement & we moved to Phx, raising our blended family, 2 of my children & 4 of his. A year later we purchased our 1st horse, Goldmine, which introduced us into a whole new world that led me to joining the local 4-H groups, then leading our own, called Deer Valley Wranglers. 2 of our children became very active in rodeoing, which gave us the opportunity to share our love for God & horses. In 1989 we moved to Dewey & started the Dewey 4H Wranglers, which is still active today. In 1992 I got involved with Horses with Heart, at different capacities, the facility was even moved to our property for about 9 years, before moving back to Chino Valley. Served as a coach for Special Olympics, served in many capacities on the Fraternal Order of Police Auxiliary & co-founded COPS, Concerns of Police Survivors Organization. My husband passed away in 1999 & I purchased a working boarding facility, called Whistle Stop Ranch in 2000. In 2012, I remarried to a wonderful man named Jim and through his sister, Mary Helen Ortlieb is how I became a Yavapai Cowbelle. Jim & I have since sold the property in Dewey & now live in Camp Verde, enjoying our retirement, grandchildren, great grandchildren & just simply, life. 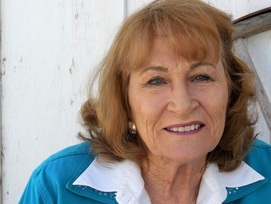 Kathy Connal - I was a cowgirl from the get-go, but didn’t get a horse until age 40. My husband and I enjoyed the ranch life, helping on the Turkey Creek Ranch in the Bradshaw’s, at Yavapai Ranch (Cienega Camp), the Sanford Ranch, in Wyoming and the Santa Rita Ranch, in Sasabe, AZ. We helped with roundup, sorting and branding. This is why I love the Cowbelles! They remind me of the life I wish I had always had. Pamela (Hughes) Cregger - Cowbelles has always been a part of my life, both my mother (Patti Hughes) and grandmother (Stella Hughes) were Cowbelles, it is a family tradition. Growing up on a ranch, with a mother who was an active Cowbelle, there was always a Cowbelle meeting or BEEF promotion event to attend. In our house BEEF was king & you worked to promote it. When our family moved to Yavapai County in 1978, the Yavapai Cowbelles became our local chapter. 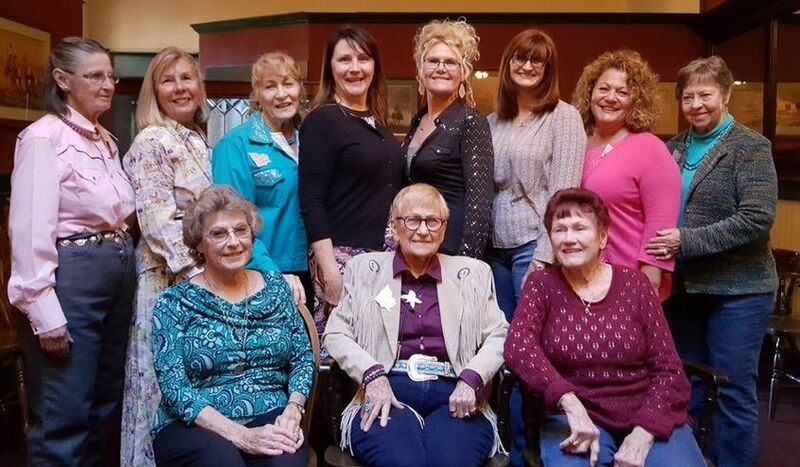 The Yavapai Cowbelles have always been a special group of women committed to the BEEF industry. I am proud to serve as the 2016 Courtesy Chairman & I am so thankful for the role that Cowbelles plays in my life. 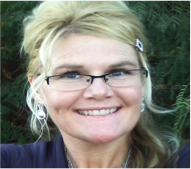 Karen Fletcher - Karen Fletcher - Born in Owensboro, KT & grew up in Phoenix, AZ. In June of 1997, I married Bob, an AZ native, who has farmed & ranched all of his life. At the age of 14 I learned to sew, which I continue to do so today, along with embroidering. I raised my 3 girls & 1 boy & now have 16 grandchildren & 3 great grandchildren, the 4th is due this April 2017. Gardening, keeping busy, riding on our ranch, when time permits, along with hunting, which I have several trophies from, are some of my passion’s. Bob & I had the T-link ranch on the Apache Sitgreaves N of Clifton, on the Blue River; Turkey Creek went right by our house. Bob owned it for 47 years & we sold it & bought the 51 Ranch, in Yavapai County, in August 2014. This ranch has two allotments & we carry two brands, the 51 & the T-link. We just finished our new ranch house & continue working to rebuild the ranch. I have to say it’s a wonderful life…. Belinda Gail - Belinda Gail ​was raised on ranches in Nevada’s Carson Valley & in the CA Sierra Nevada foothills near Sequoia National Park. 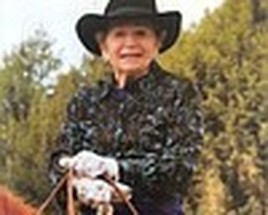 Her rich ranching heritage & her love of the West runs deep in her music & evoke the character of the people, as well as the beauty, majesty, & deep connection to the land that only those who have lived the ranch life can truly capture. Belinda is honored & humbled to not only be counted among the top female Western Music performers of this era, but she was recently listed as one of the top 50 Country & Western Entertainers of all time by American Cowboy Magazine in their collector edition entitled “Legends”. She truly is "America's Western Sweetheart". 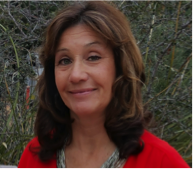 Sherrie Hanna - is a native Arizonian, born in Winslow, growing up partially in Flagstaff & moving to Prescott in 1963, in which I graduated from Prescott High in 1973. My parents, Ken & Ruth Wayman, owned & operated The Western Bar on Whiskey Row for 23 years, plus my dad was a Stringer reporter for the AZ Republic, covering news in Northern AZ. Married John in 1976 & moved to Lubbock, TX, so he could attend Lubbock Christian College. After school, we moved back to Prescott to raise our family. John passed away in Oct of 2013, after a 2-year battle with cancer. I retried in Oct of 2015, after a 30-year career at the Prescott Post Office. 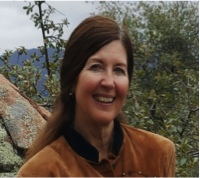 I remain busy with my children & grandchildren, all living in Prescott, plus I enjoy being part of the Republican Women of Prescott as a Board member, Prescott Rodeo Assoc., Western Heritage Foundation & the Well Armed Women at the Prescott Gun Club. I also oversee the John Hanna, Sr. Memorial Scholarship in honor of my husband, which presents graduating Seniors from Prescott High, attending Yavapai College, who major in Criminal Justice or Fire Science, the John Hanna Sr. Memorial Golf Tournament, which every Labor Day weekend at Antelope Hills benefits, The Prescott Police Explored Program and The Prescott Firefighter Charities, and the John Hanna Sr. Memorial Fast-Pitch Tournament, held every Memorial weekend in Prescott at Ken Lindsey Field. Advocate for the Down Winders. 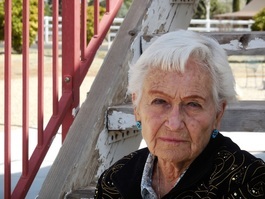 Sally Bates Harper - Born in Prescott, raised and worked on ranches in Yavapai County. 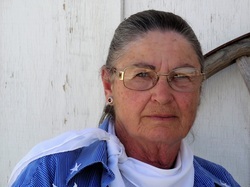 She's been a 4H Leader, Secretary to the Arizona Cowpuncher's Association; (3) three times. Is a Poet, Photographer, Singer, Songwriter and award-winning writer and novelist. Top of her bucket list is to win the Cowbelles Quilt one year. Grace Hicks, shares her photo with us. 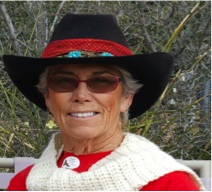 Carie Hughes - 2016-2017 Yavapai Cowbelle President, an AZ native began her journey here in the Prescott area, in 1983. Performing with Prescott Center of the Arts Theatre as a dancer, actor, singer & choreographer for 28 years. She was blessed with the PFFA dance scholarship for 2 years, which paid for her college education. Her career fell in dentistry, as a Dental Assistant for 24 years, of those 18 years, I was honored to assist Retired Army Colonel Clay C Maupin, DDS. She is a girl from the city, but a country girl at heart, summer time working at the ORO’s, Rodeo Queen competitions, starting a singing career, with her cousin in Branson. 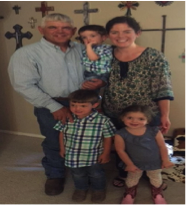 God’s timing was everything, when she crossed paths again, with her dream cowboy, 4th generation cattle rancher, John Hughes, now married for 22 years. John’s grandmother is Stella Hughes, who started the Cowbelles, back in Gila County. John’s mother, Patti as State President, took John everywhere with her & Carie as our current President, continues the family tradition. She wears many hats & volunteers in the community daily. Keller Williams BP Realtor, tech w/H & H Diesel shop, 3rd Vice President RWOP, assist John as Dewey Councilman, Mary Kay Consultant, PCA Production Committee member, Ritz Girl Caterer, Dance Instructor, Joyce Meyer Ministries Greeter, dancing with the Stars Choreographer & performer in Prescott, owner of Cherry Creek Ranch Venue in Dewey, where they provide every service for weddings, dinner parties, barrel races & community events. 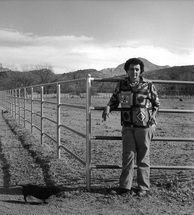 Terry Hunt Crowley - Is from a long history of ranching, my Grandpa once owned Las Vegas Ranch. Growing up, I helped my folks, Frank & Frances Thompson Hunt, gather the wild cattle off of the outfit they bought on the Music Mountains, in Mohave County, there we establish a gentle & productive cow herd. After college, I married a cowboy & we moved a lot, working on ranches from AZ to Hawaii, even Canada, while raising five children. A few years ago, we decided to work for ourselves instead of someone else & leased my folks old ranch to start our own cow business. I love ranching & photographing the memories & lifestyle for others to see. 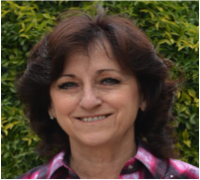 Deborah Lindsay - My passion is helping people understand what horses are thinking so they can always be safe with a horse. Over the years, I have successfully & safely taught upwards of five thousand children & adults to happily be around & ride horses. My program is for foster children & teens in distress has drawn national attention. I welcome students wishing to learn her techniques with a very individualized intensive ranch experience so this knowledge can be passed on for the future of the horse & those who love them. Soon the ranch will be home to cattle as the Cowbelles rich traditions are passed on. Deborah is a former ICU nurse, medical lab Director & currently runs a working horse ranch in Prescott, AZ, called Hallelujah Horse Ranch. 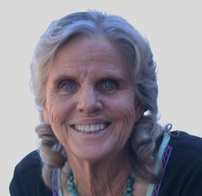 Kathleen (Kathy) E Moore - Born in Prescott, raised in Peeples Valley & attended high school in Prescott. All my life I wanted to be a teacher, so I attended AZ State College in Flagstaff. During that time through family & friends I met my future husband, Roy A Moore, he was in the Marines & the war with Korea was on. We married the fall of 1952 & later I graduated from College in the spring of 1953. When the war was over, Roy & I moved home to the ranch near Congress. Roy’s parents were ready to retire, they turned the ranch over to Roy & I and the move was on. We have three sons, Alan, Mark & Jack, all raised on the ranch. When they all were in school, I began teaching in Wickenburg, sixteen miles away. I would take them to school, teach all day & drive them home. Roy and I have had along and active marriage not only on the ranch but supporting our cattle industry and communities as well. For your information, Roy and I joined all three cattle associations and were active in Yavapai and State. I joined the Yavapai State Cowbelles. I went thru all offices of Yavapai and chaired different committees. For State I represented the State Cowbelles on the Arizona Literacy Committee for 11 years, educating teachers about Ag. Mae Parker - Was born on December 17, 1945 in Prescott AZ, during a snow storm in the car on the way to the hospital, on the corner of Gurley & Marina in front of the old First National Bank down from the Elk's Theater. My parents were Minnie Mae Sorrells Harrison & Jack Harrison. I have two older sisters that are also Cowbelles. Kathy Moore & Ellarose Gaston. We moved to Parker, AZ, I think in 1954. Larry & I got married October 1962. We had 3 children, Kathy Callahan who is a Cowbelle, Ammon Parker & Lori DeVine who also is a Cowbelle. We have 6 grandchildren, 3 boys & 3 girls which one is a Cowbelle. We have 1 great grandson & another great grandson on the way. We moved back home on the Sorrells Ranch in Peeples Valley, in September of 2005, after Larry retired from the Railroad. I joined the Yavapai Cowbelles and have held the office of 1st Vice President and President. I was elected International President of the United Transportation Union Auxiliary August 2010 I moved to Cleveland Oh. January 2011. I was president until December 31, 2014. At that time, I retired and plan never to move from the ranch again. Hopefully as I start to feel better I can get back being a fulltime Cowbelle. Derry-Lynn Schall - born and raised in Tarrytown, NY. I attended college in Bristol, VA and worked for the Methodist Publishing House in Richmond, VA. For 30 years, I worked at IBM in NY, CA, and AZ. Have also lived in FL and on Maui. In 1992, I retired to Prescott. My interests are travel, reading, theatre and film. Lu Ellen Statler - Born & raised in West Texas, where I attended college in Alpine, TX, pursuing a B.S. Degree in Education. My husband, David came from AZ to Alpine to gain a degree in Agriculture. We married in TX & had our first son, Walter, there. After a year, we moved to AZ where I taught for 34 years in the Humboldt School District. David, ran 2 ranches, the Buzzard M & the Bottle Ranch for a lawyer from Phx for 10 years. We had our second son, Patrick, in Prescott. The Bottle Ranch was purchased in 2007, where our son Patrick & his family currently live. The Bottle Ranch is located N of Hwy 169, in Dewey & runs to the top of Mingus Mountain, approximately 42 sections of land. Where we run around 220 Mother cows. Cathy (Cleckner) Urgitus - Her mom, sister & niece are all current Yavapai Cowbelles, so by her joining the group in 2013, was a natural fit. 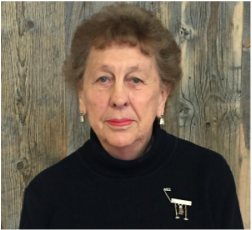 She enjoys being the current Editor for the Heifer Herald & serves on the Board of Directors, as well as helps out at other events. A Native of Phx, AZ, her family roots comes farming in the Ohio region. She started her life out in fashion/modeling, then moved into some form of the real estate industry, ending up as a Realtor for Code of The West Realty. Being a part of her client’s journey, brings her such joy. 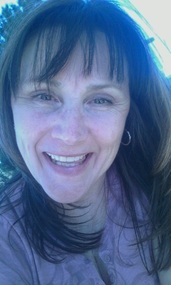 She moved to Prescott in 1985, where she met & married the man of her dreams, her husband Jeff & life couldn’t be sweeter. Carole Wagner - Carole was raised on a dairy farm in upstate New York. She moved to the Prescott area, in 1980. 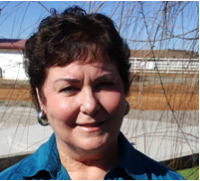 Carole has worked at the Veterans Administrative Hospital in Prescott, for over (30) thirty years, as a Health Care provider. Carole started her ranch, with six cross-bred cows and a Beef master bull, (22) twenty-two years ago. 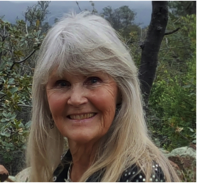 Carole has served as the local Yavapai President, twice and is the incoming state of Arizona President. 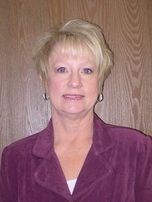 Carol (Cleckner) White - Born in Wadsworth, OH. Raised in Phoenix, AZ. Cheered in high school and college and did some informal modeling. While raising my family, I earned my Associates Degree in Interior/Exterior Design, which I later used to open my own business in Prescott. I pitched for a semi-pro, all women's, slow pitch softball team that went to Nationals twice. I've managed Western stores and taught Western dance, here in Prescott. Later, I went back to school, and earned my Masters in Education from NAU. I taught in Dewey and currently substitute for rural schools here in MT, where we reside. 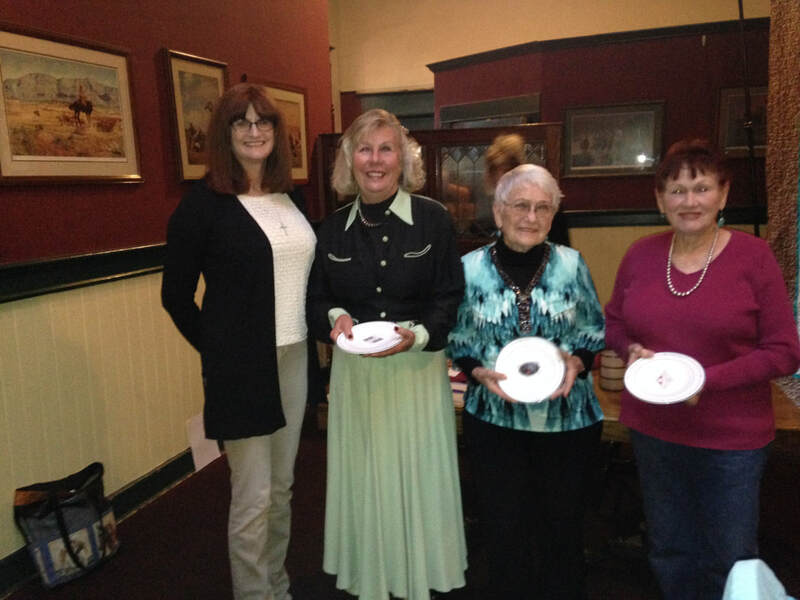 I've been associated with our wonderful Yavapai Cowbelles for over 20 years with Mother— Helen Cleckner, Sister—Cathy Urgitus, and Daughter — Carie Hughes, all current members. Happy Trails to All! 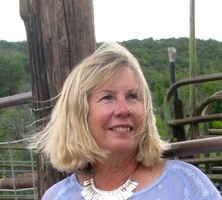 Katy Wright - I am the 4th generation to live and work on the W Dart Ranch in the Verde Valley. My parents helped foster a love for agriculture over the course of my entire childhood so my decision to pursue a degree in Animal Science at the University of Arizona was natural. I followed by getting my Master's in Agriculture Education from the University of Florida and returned from two years in the sunshine state and taught High School Agriculture at Buckeye Union High School for five years. Following the birth of my oldest child, I made the choice to become a stay at home mom so I could soak up every drop of these precious, refining years of raising little people. My husband, Kelly, and I have been married for five years and we have four children, Brandy, my stepdaughter is 18, HB is 4, Katherine is 3 and Richard is 2. We recently moved from Buckeye to Cottonwood and in addition to a handful of cows, we have a flock of black face sheep that we use to raise club lambs for 4-H and FFA members.